In Modern Dance, the dancers are exposed to the unique style of their resident instructor, Low Mei Yoke. Madam Low prepares the dancers for important events such as the biennial Singapore Youth Festival (SYF), as well as, major school events such as Raffles Rhapsody. Weekly trainings and self-improvisation classes constantly improve the technicality of the dancers. 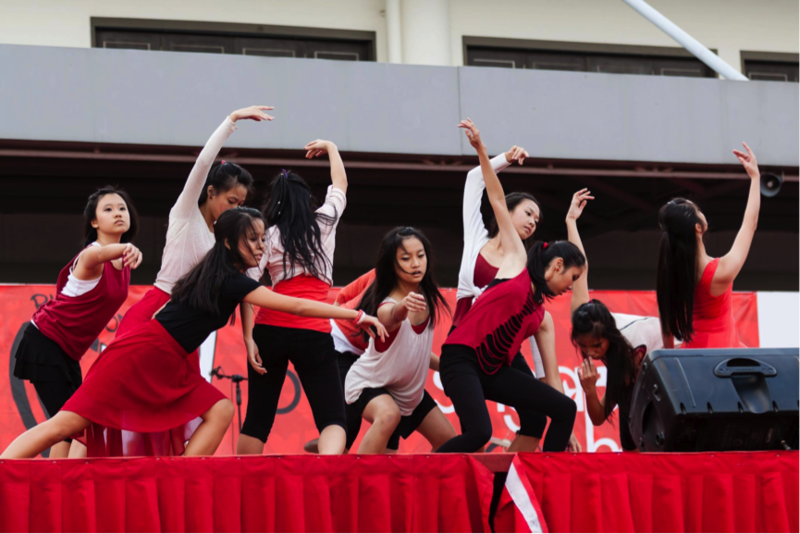 Furthermore, the dancers are given a chance to choreograph their own dance pieces during non-SYF performances. This allows them to explore their fullest potential and creativity. There are numerous opportunities for Modern Dance to perform each year and these platforms serve as a great way for the dancers to improve their stage presence. One precious opportunity that we never fail to take up would be SYF. This event is usually held in March/April but preparations start by November the year before. 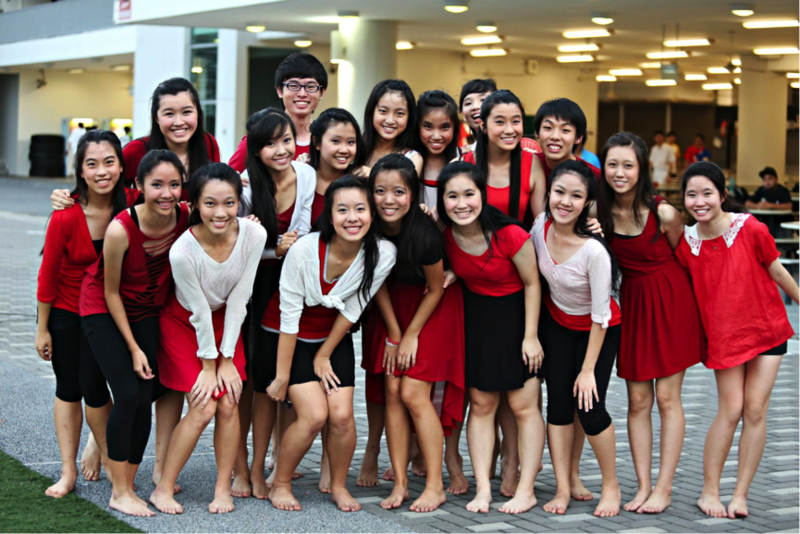 Other performances include in-house events such as Open House and Take 5. During term time, Modern Dance meets twice a week, Wednesday and Saturday, for a total of about 6 hours. However, nearing the time of performances, trainings may increase to three or four times a week. During the holidays, trainings will be conducted during the earlier half of the holiday. Modern Dance requires auditions and the selection process consists of two stages. The first stage requires participants to learn a set of choreography and the second stage to improvise according to any music played. However, participants may be asked to prepare a short routine as well. Selection into Modern Dance is based on the participants’ ability to learn quickly and their overall performance. Apart from gaining performing experiences, the dancers will learn an important element in Modern Dance – chemistry. Modern Dance comprises movements that are interdependent between dancers. It focuses on expression and emotion. As Martha Graham once said, “Dance is the hidden language of the soul”, Raffles Modern Dance is truly a CCA that allows its dancers to push beyond their limits and mature into even greater dancers. The world can change. We can change. Most importantly, though, you can change. Change begins within, and One Earth’s activities reflect just that. Our club tries to bring about change from within individuals, within our school and within our community.